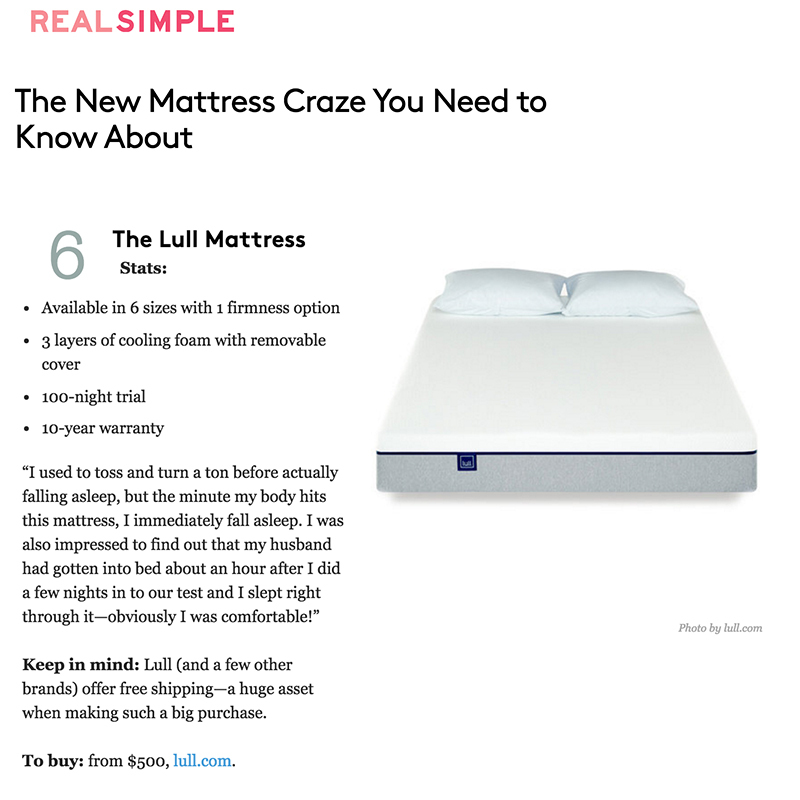 Congratulations to our Client Lull for their feature on Real Simple. A comfortable mattress is the most important factor for great sleep. The Lull three layer memory foam mattress was designed and crafted in the U.S.A., using only the highest quality materials. Lull provides the perfect amount of comfort and support for the best sleep of your life. Cutting-edge compression technology compresses & roll-packs Lull mattresses in a box the size of a mini fridge. This reduces package volume by up to 70%. This means your mattress is easy to handle, but also leaves the smallest carbon footprint possible. Skip the 5 minute try-out at the mattress store. Try the Lull mattress in the comfort of your own home for 100 nights. If you don’t love it, they’ll pick it up for FREE and give you a FULL REFUND. How is that for convenient? Check them out at lull.com!